Stir together dark brown sugar, salt, Cajun seasoning, lemon-pepper seasoning, and Worcestershire sauce. Place brisket in a large shallow dish. Spread sugar mixture on both sides of brisket. Cover and chill 8 hours. Combine hickory wood chunks with water to cover; let stand 1 hour. Prepare smoker according to manufacturer's instructions, bringing the internal temperature to 225°F to 250°F; maintain temperature for 15 to 20 minutes. Drain wood chunks, and place on coals. 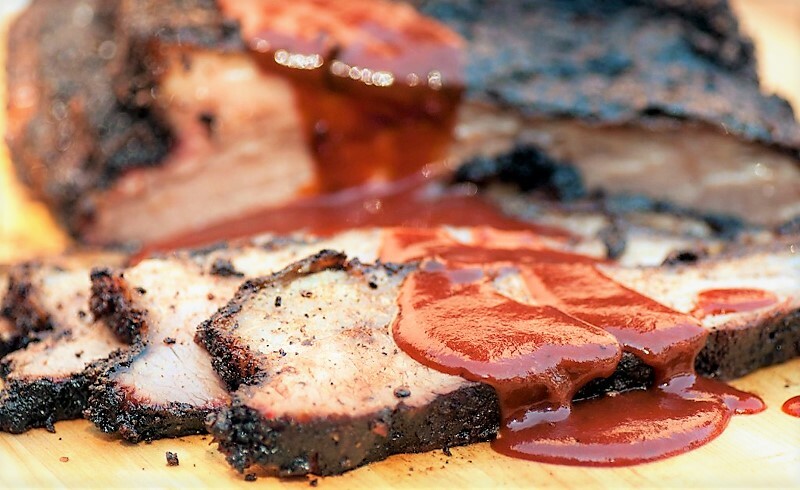 Remove brisket from marinade, reserving marinade. Place brisket on lower cooking grate. Pour reserved marinade over brisket, and cover with smoker lid. 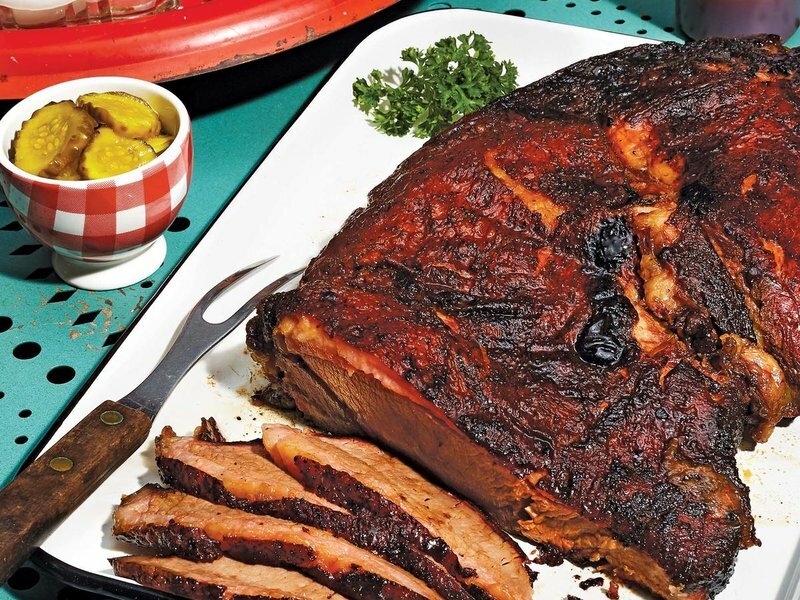 Smoke brisket, maintaining a low temperature inside smoker between 225°F and 250°F, until a meat thermometer inserted in thickest portion registers 180°F, about 5 hours. Remove from smoker; wrap brisket in aluminum foil, and let stand 10 to 15 minutes. Cut against the grain into thin slices.